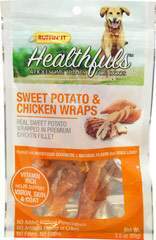 Ruffin' It™ Healthfuls Sweet Potato Slices are packed with nutritious goodness and a natural sweet flavor that dogs love. 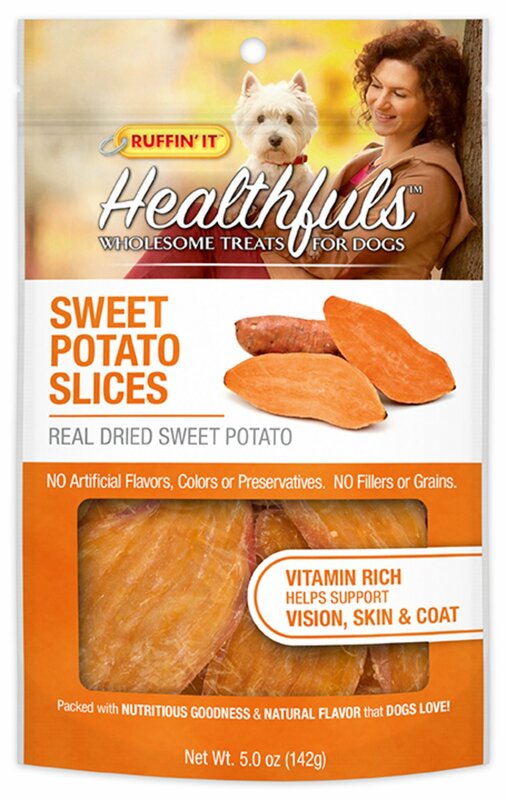 We take pure, natural, Sweet Potato, slice them with the skin on to save all the nutritional benefits and dry them to chewy consistency. 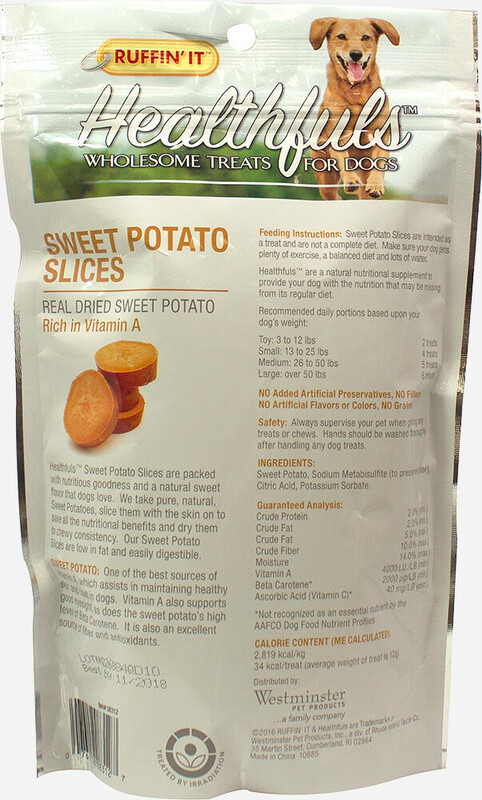 Our Sweet Potato Slices are in fat and easily digestible. 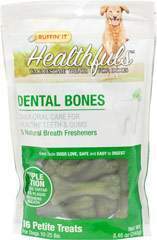 No artificial preservatives, no fillers, no grains and no artificial flavors or colors.